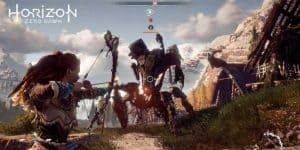 Horizon Zero Dawn Might Have Inspired Microsoft | Nerd Much? Only discovered yesterday by MSPowerUser, a two month old job posting (that has since been taken down) from Sandor Roberts over at LinkedIn, has hinted that Microsoft is working on a title that will be inspired by Horizon Zero Dawn. The posting called for a Lead Environment Artist from a game developer recruiter by the name of G3D on behalf of Microsoft. The post stated that the game would be a triple A title “similar to Horizon Zero Dawn,” but no other clues. With the timing of this post and how long it’s been, it is more than likely the game is already underway. It might not have reached the stage of an agreed title in that time, but it’s clear from the G3D site that Microsoft is still hiring for a full team. This could take much longer than only two months, so despite Phil Spencer himself promising that Microsoft has plenty of projects on the go, these are clearly still a few years in the making. Nonetheless, that doesn’t mean it isn’t time to speculate. For those few gamers who only own an Xbox and not a PC too, I would venture to say that a game like Horizon Zero Dawn isn’t something that would appeal to them. That said, a game like Horizon is definitely a console seller, so it could bring a new audience to the Xbox family. It would certainly make for a wildly different direction in games, as Microsoft’s E3 conference did well to define the company’s methods: play it safe and play it indie. Horizon isn’t a title that generally fits in the “indie” category, at least. It is a very safe title, however, as large open worlds, beautiful landscapes, interesting enemies, and RPG elements are more or less guaranteed to appeal to just about every gamer. Will a game unlikely to appeal to Xbox owners be worth it for Microsoft? Do you think they’re trying for a new audience? Will they succeed? Let us know your thoughts in the comments below!